Mary Halvorson is perhaps the most organic guitarist of my generation. Her music grows so logically and intricately yet twists and turns unexpectedly, spinning inward into knots before branching out into a glorious arbor that provides shelter to an impressive ecosystem of some of the finest musicians working today. Halvorson’s long-running trio with John Hebért and Ches Smith grew into a septet with Jonathan Finlayson, Jon Irabagon, Ingrid Laubrock, and Jacob Garchik, as featured on Halvorson’s 2013 album Illusionary Sea. Away With You, her sixth album released on Firehouse 12 Records, grows into an octet with the key addition of the mighty Susan Alcorn on pedal steel. For only one example of what Alcorn brings to the band, listen to her opening of “The Absolute Almost (no. 52)” the third cut on Away With You. Alcorn is slowly joined by Halvorson and the two dance around each other until the full band enters about halfway through leading us into the cacophonous madness that ends the composition. 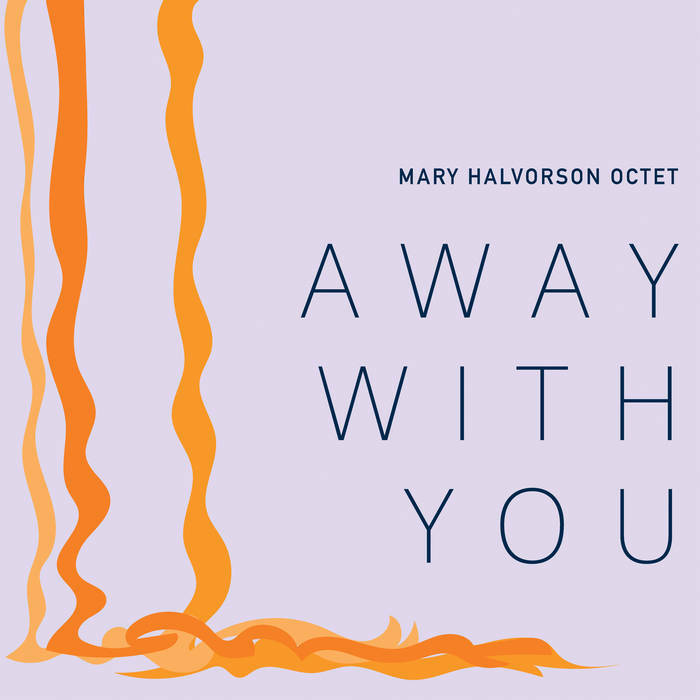 Away With You presents eight new compositions, numbers 52-59 in her catalog (I love that Halvorson numbers her compositions). The band is tightly anchored by the core trio of Hebért, Smith, & Halvorson. The horns swirl around, engaging with and being deflected by the trio. Hebért steps to the fore with an intense opening solo on “Old King Misfit (no. 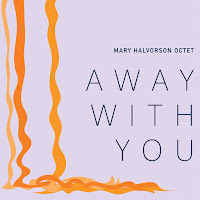 57).” Halvorson deserves much credit for her tight arrangements that showcase the band in their best light, leaving room for everyone to do their thing while still managing to act as a single multi-headed Hydra seeking to destroy your minds and expectations of what jazz is in 2016. Something worth pointing out is the emotional content of Away With You. So much modern jazz might satisfy my head, but so little of it really hits me in my guts. This album is an excellent blending of the two: the tunes are intelligent, thoughtful, and unusual while still managing to move me in a way that much modern jazz doesn’t. It’s all here, in one nice package, just waiting for you to press play. Away With You should probably be on my year end list, I know it’s on other lists on this site, but as with who knows how many other great albums, I didn’t hear it in time. I completely agree: Mary Halvorson is the most talented guitarist, with absolutely no boundaries in mind, of this generation. I only hope she quickly forgot about her cover version of "Solitude", by the most over-estimated musician of all time, unfortunately included in her otherwise beautiful recent solo album. Lol - Duke Ellington " the most over-estimated musician of all time" is a pretty poor comments section challop.